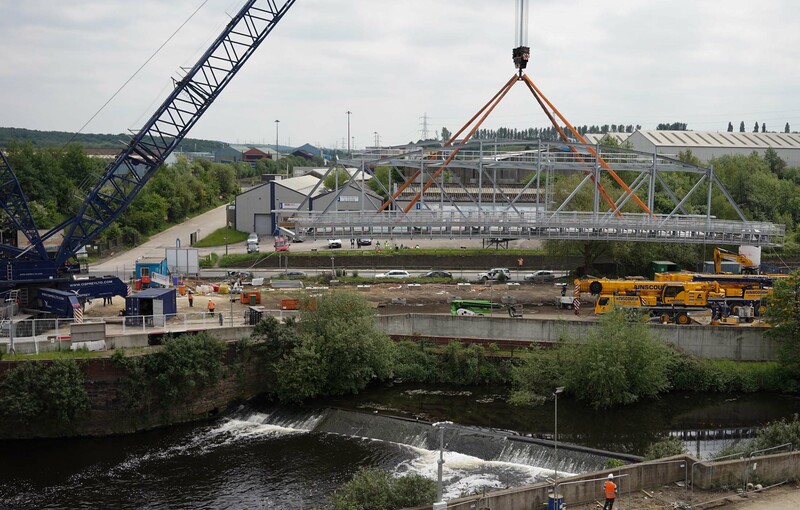 Over the Bank holiday weekend of Saturday 28th to Monday 30th May 2016 the old bridge on the site of the new Templeborough Biomass plant was lifted out and a new bridge craned into position. 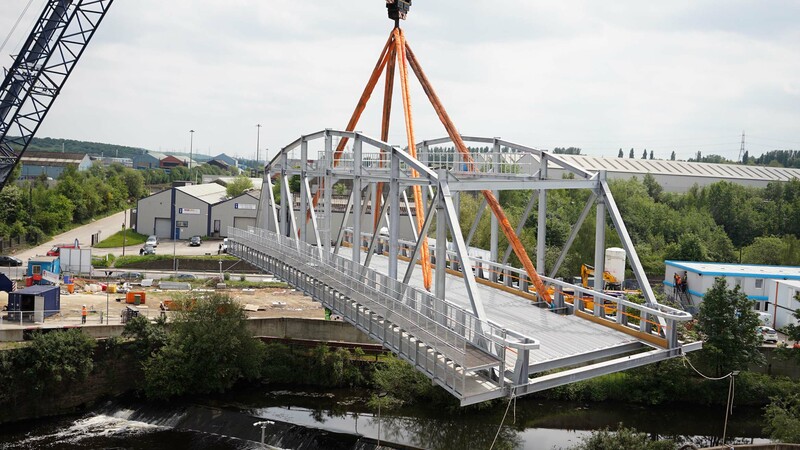 The new bridge was lifted in as a single piece and weighs a mighty 153 tonnes and is over 49m long. 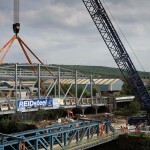 The bridge has been assembled at the site during May by Reid Steel from Christchurch in Dorset. 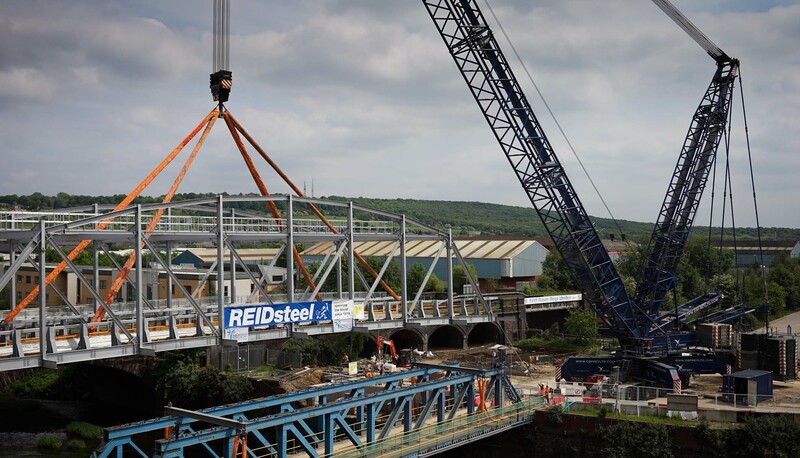 The ‘Big lift’ took place overnight on 28th May with the old bridge being lifted out and transported away, the crane being used for this lift is a Liebherr LG1750 and has a maximum height of 136m, there are only four of these in the UK. Mr Forrest went on to say “Choosing the best time to carry out the bridge swap has been challenging, but all agreed the perfect time is when the traffic is at it lightest and will cause least disruption to road users and residents alike, so the Spring Bank holiday weekend at the end of May was chosen. 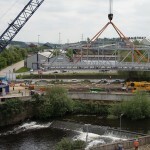 The actual big lifts took place overnight with a crane rated at 750 T and brought to site especially for this purpose on Thursday 26th ready for the lifts on 28th May”. 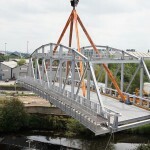 It has been a great team effort by Reid, Interserve and its subcontractors, in particular Moortown, a local civil engineering company from Leeds, to get ready on time for this remarkable spectacle which was planned way back in late 2015.